CECP offers an “A la Carte” style café. Students can pick from a variety of options for breakfast, lunch or just a quick snack break. We also offer Café Cards that parents and students can load with a check, cash or credit card. This is a great tool to help students budget. Stop by the café and see Mrs. Clements to set up a card. CECP also offers a free and reduced lunch program that allows families that are in need an opportunity to purchase meals from the Café. Please download the application below. The Lion Café at CECP is volunteer and student-run. 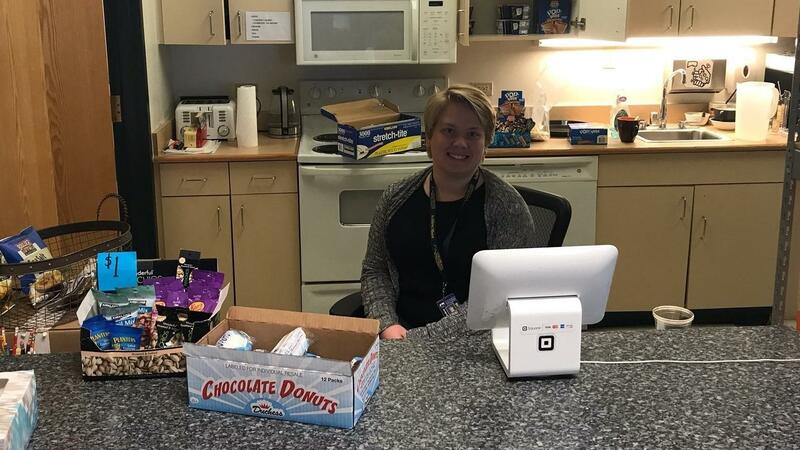 Students and parents can cashier in the café and parents can sign up to assist in Sam's Club shopping to keep our Café fully stocked. If you are interested in serving in this area, please Contact Wendy Clements﻿.